MID-ARGYLL: A Waxwing seen today just after 1.0 pm while driving back from Lochgilphead, as turned corner and Tayvallich Bay comes into view . Surprised but see others being reported in Angus and in Lothian (Jon Close). 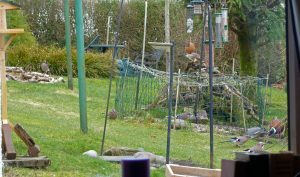 ISLAY: Some recent sightings from Mike Peacock – Sun 25th at Gruilinbeg 50+ Fieldfares and 30 Skylarks, and an adult Iceland Gull at Sanaigmore. 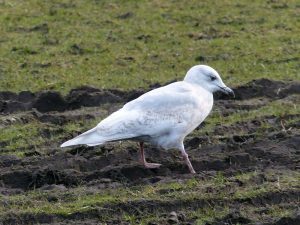 2 Iceland Gulls at Ballinaby on the Fri 23rd – attached picture of the 3CY and on the Thur 22nd at Machir Bay – 3 Glaucous Gulls and an adult Iceland Gull. 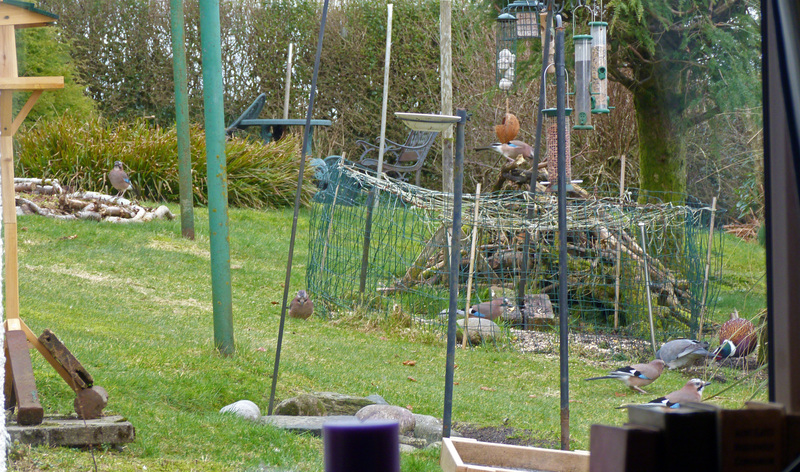 Jays – Dunoon, Cowal 26th Feb (George Newall). 3CY Iceland Gull – Ballinaby, Islay 23rd Feb (Mike Peacock).